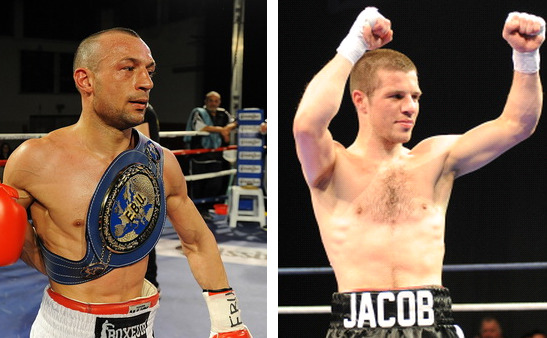 EBU superfeather champ Devis Boschiero, 34-1, will make a voluntary defence of the title January 31, 2014, in Calais (France) against Romain Jacob, 19-0. The sole loss on Boschiero's ledger came against then WBC champ Takahiro Ao and was a close, disputed split decision. Jacob holds the French title as well as the IBF Youth belt. Mandatory challenger for Boschiero is Belgian Ermano Fegatilli.